Grazia Intern Diaries: the new Grazia web series! Wonder what it takes to create a fashion magazine? On May, viewers found out how ideas come together and get papered down in Grazia. 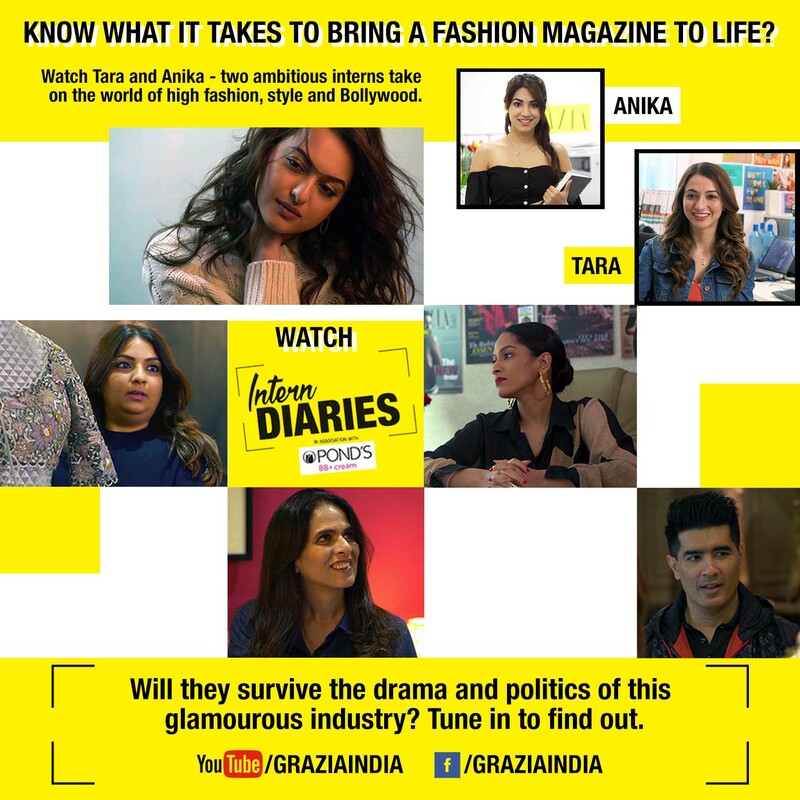 Intern Diaries is a scripted reality 8 episode web series that revolves around two young girls – Tara and Anika, who are shown interning at Grazia India. The interns are seen working their way through tasks, completing them to the magazine’s standard. The web series takes the audience through a journey of real situations, fashion emergencies and challenges from a millennial’s point-of-view. Bollywood actress Sonakshi Sinha and celebrity designers Manish Malhotra, Anita Dongre, Masaba Gupta and Payal Singhal made also special appearances in the episodes. New episodes released every Tuesday starting from May for 8 weeks on Grazia India’s Facebook and YouTube pages! Since its launched, the first episodes already reached 20 million views!